WASHINGTON — One of the most pothole-pockmarked stretches of road in the D.C. area is getting a patch-up Monday. The patching work was expected to start at 9:30 a.m. in the northbound lanes. During the work, the right lane will be closed. Over the weekend, the WTOP Traffic Center “received call after call about cars being damaged by the potholes, mostly flat tires,” on that stretch of the B.W. Parkway, said WTOP Traffic reporter Dave Dildine. Beyond damaging vehicles, the potholes have led to traffic snarls in the area, Dildine said. “We received many calls from concerned drivers late last week and throughout the weekend about the swerving and sudden braking around the potholes in the parkway’s northbound lanes,” he said. The pothole repair crews are expected to complete their work by midafternoon Monday and reopen the lane in time for the afternoon commute. “Crews might be able to use hot asphalt to patch today — if so those patches would hold up a little longer until more permanent paving can be done during warmer weather,” Dildine said. After the snow, rain and cold this winter, several area roads across the region are showing signs of wear. 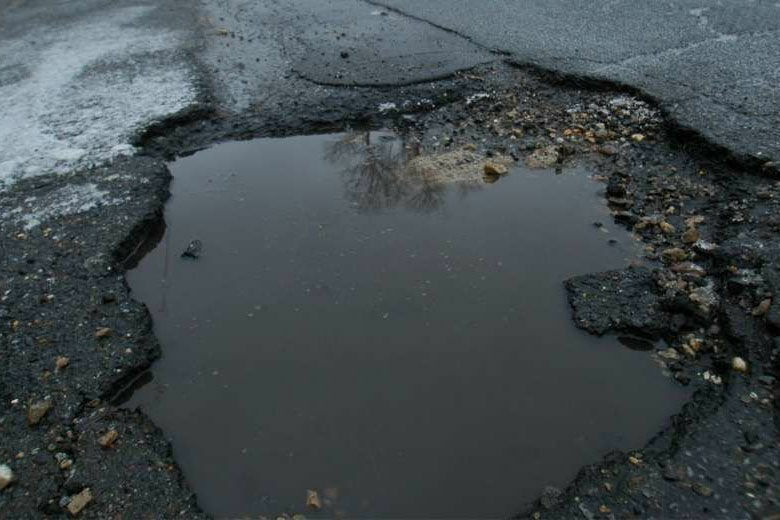 Drivers can submit claims for damage caused to their vehicles by potholes to the government agency responsible for maintaining the roads. Damage claims in Maryland are filed with the Claims Department at the Maryland Treasurer’s Office. Find out how to submit a claim and see who to contact if you live in D.C. or Virginia.